How many people are involved with Amigan Software? It’s just me at this time. The idea originally was that eg. graphicians might join, but alas not. Thus the ugly graphics There are also porters who regularly build and release OS4, MorphOS and/or AROS ports of the programs, and various translators who maintain the catalogs. Your website shows that you have produced games, emulators and utilities. Which genre of program do you prefer working on? Are your programs shareware or public domain? They are open source freeware; ie. basically public domain. Any programmer or user is welcome to contribute code or suggestions. What do you believe is the minimum hardware specification users should have for their Amiga to get the most out of your programs? OS3.9 (+BB4 of course ) is generally the best OS to use for them. Only a 68020 is required in theory but in practice some of the programs are slow so a fast machine is recommended. Running under WinUAE, OS4, MorphOS or AROS will give the best speed. Most of the programs now have native binaries for these platforms anyway. Which program are you most proud of? AmiArcadia; it’s one of the most feature-complete emulators on the Amiga. How do you promote your software? New releases of AmiArcadia are announced at 1Emulation.com, and from there the news is picked up by various other emulation sites. Normally, new releases of the other software are not formally announced. Your software has been featured in many magazines across Europe (England, Germany and France) - which countries have you found to have the most dedicated Amiga support? What motivates you to continue to support the Amiga? AmigaOS is still the best OS, and Amiga users deserve to have quality software. What products are you involved with currently? The main Amiga programs are AmiArcadia, Worm Wars, Report+, Africa, Saga, Koules and Handy. There are also 7 character editors for various RPGs. I also maintain the OS3.9 Boing Bag #3 and #4 packages. You can see the full list at the site at http://amigan.1emu.net/releases/ . The projects in the most active development this year are AmiArcadia and Boing Bag #4. How long do you think you will continue to support the Amiga for? The rate of development depends as always on my time and motivation but the intention is for continued development. There are no plans to switch to OS4.x, MorphOS, etc. but I do try to support those platforms where feasible. This is a conversion of the 1977 3W boardgame "Africa", for up to 5 players. 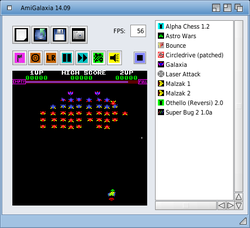 Players can be controlled by human or Amiga. Available for Download from Amigan Software website. 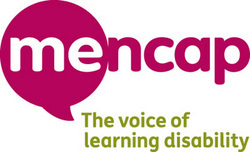 We hope you enjoyed reading the Amigan Software interview - remember AmigaPd is charity ware - please visit our just giving page to support our chosen charity Mencap.